Apple has a penchant for showing people using "naked" iPads in ads, but we all know the truth — you need some sort of case if your iPad's going anywhere outside of the home or office. 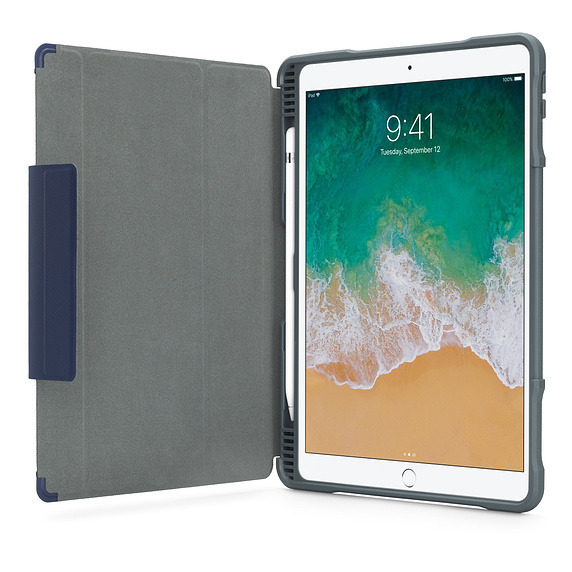 Here are some of the better case options for a 2019 iPad Air, whether available now or shipping in the near future. Pad & Quill's Oxford Leather. Please note that when you're on the hunt for a case, make sure it's listed as compatible with the "2019" or "10.5-inch" Air — that's the new model, whereas old ones have a 9.7-inch display. If you're concerned as much about style or keeping up appearances as protection, the Oxford Leather Case (currently $109.95) comes in "chestnut" or "whiskey" colors with nylon stitching and elastic strap. 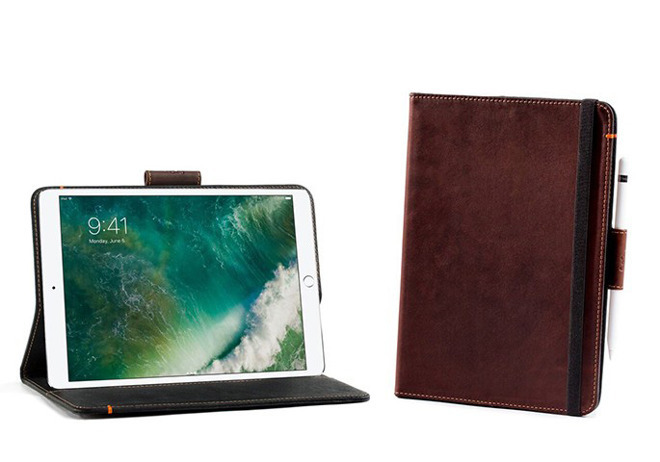 A leather loop holds your Apple Pencil, and an internal pocket stores any loose papers or cards you might have. It should be tough enough for most purposes, but it's not rugged — in fact your Air is held in place with a special 3M adhesive meant to allow repeated removal without any residue. Owners can however leave their Smart Keyboard connected, which may help. If you're okay with a clear case, the Symmetry ($79.95) is a snap-on model that uses a mix of hard plastic and silicone, the exception being a fabric Pencil loop. Its party trick is a removable spine, handy if you want to attach a Smart Cover or Keyboard. For the moment it's an Apple exclusive, and in fact OtterBox's only third-gen Air case. Don't think Apple's Smart Keyboard is the only integrated keyboard case. The Slim Combo ($129.95) lets you detach its keyboard at will, and that unit is backlit with iOS shortcuts. A kickstand extends up to 50 degrees, and there's a holder for your Pencil. Do think twice about buying a dedicated keyboard case though, or even any keyboard that uses Apple's Smart Connector. 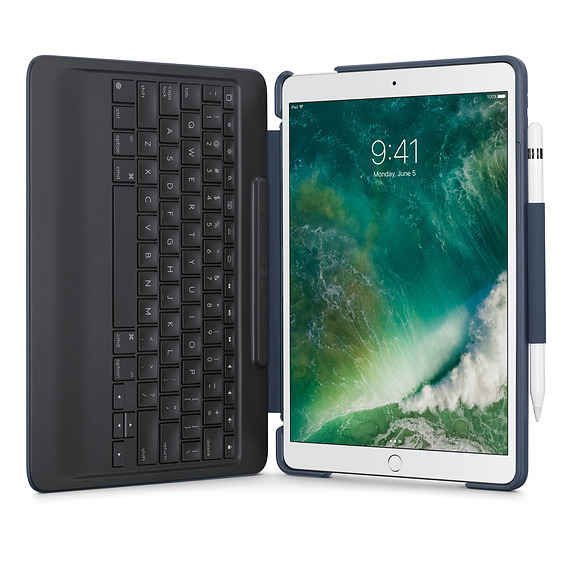 A Bluetooth keyboard can last through multiple generations of iPad, and pair with Macs and other devices to boot. The Dux Plus folio ($69.95) is one of the tougher early entries. It's claimed to surpass U.S. Department of Defense Standard 810F/G durability tests — that should, in theory, give your Air a fighting chance if you drop it from a low height. It also has a unique internal storage chamber for the Apple Pencil, unlike most iPad cases. 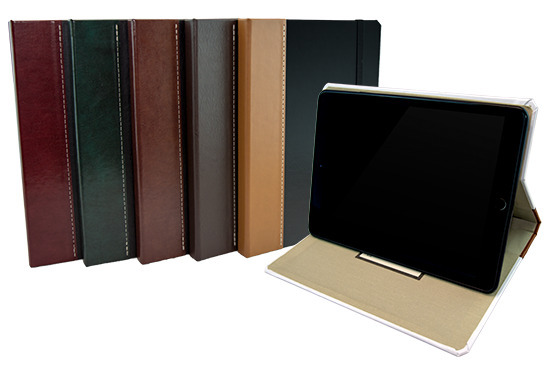 Another luxury product, the Executive Leather ($79.95) comes in two-tone black and white variations. It's similar in some respects to Pad & Quill's case, but bookbound and featuring a polymer tray instead of adhesive. One downside is that there's no internal storage pocket, but it's also cheaper, even if you pay extra for monogramming or keyboard support. If you really need something tough, Pelican is working on the Voyager. No pricing or release date is available, but the company is promising military-grade drop protection, thanks to the combination of a dual-layer design and angled edges, the latter meant to divert energy and protect the screen. 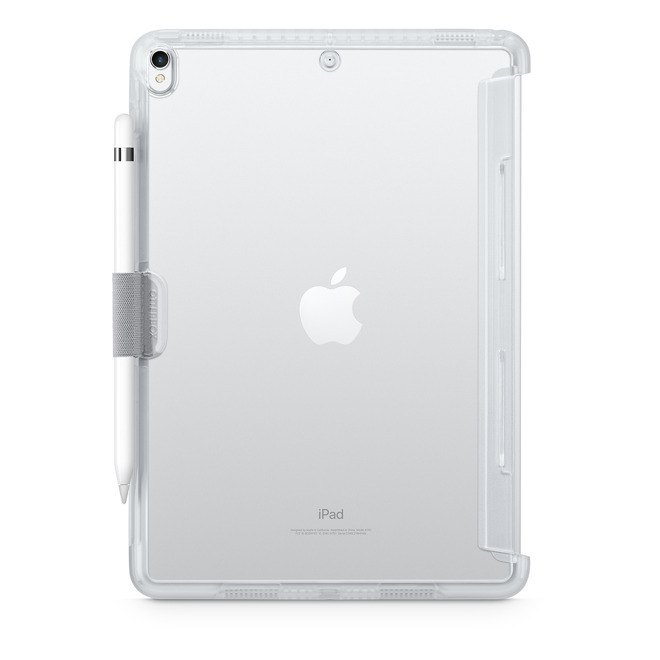 An integrated kickstand props your iPad up for typing and viewing, and a solid loop stores your Pencil. Just remember that the case isn't waterproof, and you may want a separate screen protector to guard against scratches. If you absolutely insist on getting a case from Apple, we'll begrudgingly mention the Smart Cover. 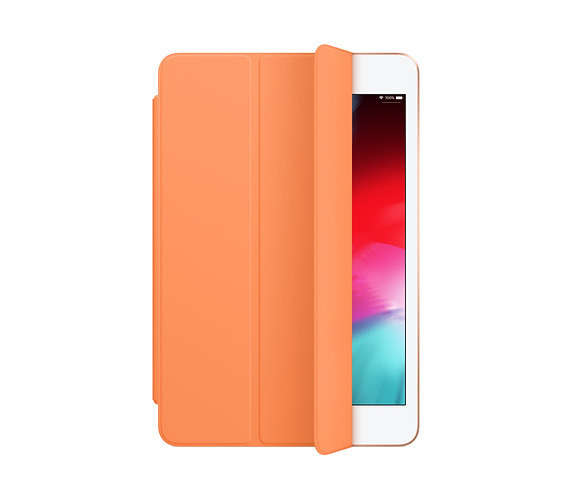 It comes in polyurethane ($49) and leather ($69) editions with several color options — we particularly like papaya. We'd recommend against it though unless there's no other option. Why? 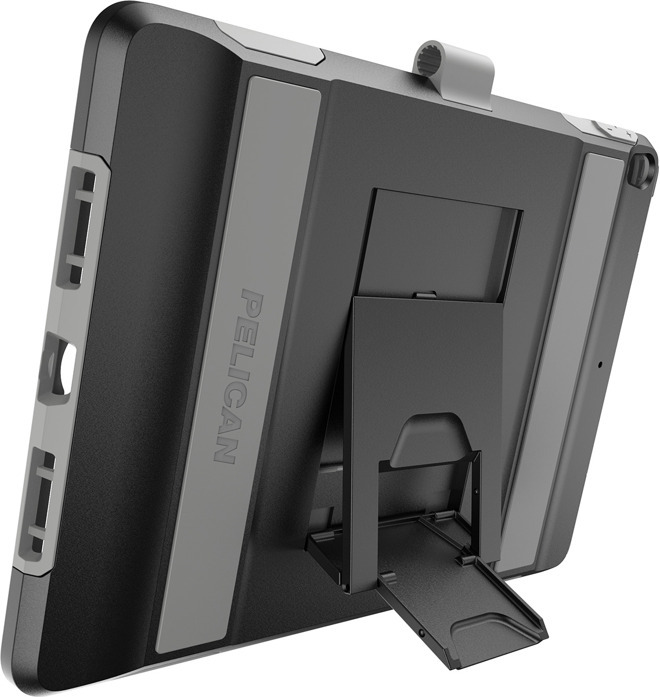 It only protects the front of your iPad, and not well unless it's combined with a rugged rear shell. For the cost of both, any of the above cases are better choices.